Exposure Modes. Exposure Compensation. ISO. RAW Files vs Jpegs. Shutter Speeds. Apertures. Depth of Field. White Balance. Focal Lengths. Histograms. Last weekend I took a Travel Photography course here in Sydney. The course was taught by Andy of Andy Piggott Photography. Andy has over 30 years of photographic experience, has been a professional photographer since 1981 and has travelled the world in search of capturing those perfect moments. His photographs have been published in Australia, Great Britain, the USA and throughout Asia. They have been featured in photography magazines, airline in-flight magazines, photographic "how to" books, travel brochures, calendars and advertising. "This 2 Day Travel Photography Workshop will prepare you to bring back high quality photographs from your travels rather than holiday snaps! Beginners will learn how to use the various camera modes to best effect. If you already have experience with digital cameras you will learn new techniques. Even if you don't have any travel plans the subjects and techniques covered in the course will improve all of your outdoor photography. We will explore the use of Shutter Speeds to control the way motion is recorded. You will learn how to control Depth of Field, practicing throwing backgrounds out of focus. There will be tips on portraiture, including fill-flash and using reflectors. You will learn how to get precision exposures and perfect colour. There will be advice on what gear to take travelling and what you can leave behind. Duration: 2 Days (12 Hours total)"
I have to tell you, it was a lot to take in over a two day period. I was going along just fine with my old 'point and shoot' camera and was even quite happy with the results of many photos that I've taken on my iPhone but obviously a major trip to Africa deserves much better than this. I want to come back with amazing shots that will not only appear on this blog, but that can also be used in the travel articles I intend to write upon my return. As the saying goes, 'You don't know what you don't know, until you know it.' Unfortunately I'm now hovering in that space of knowing that I really don't know much. Even so, at least I've made a start and I thoroughly enjoyed the course. Andy made the effort to really individualise the learning. He knew about my Africa travel plans and also my desire to become a travel writer so whenever there was anything that was relevant to those he spent time giving me some more specific advice. Andy also supplied all of the equipment that was needed. I had intended to buy a DSLR camera before the course, but now I'm glad I didn't as I got to use a range of models and was also able to talk to him about what would best suit my needs. Aside from the practical aspect of using the camera, we spent 'classroom' time in a beautiful cafe at the Hyde Park Barracks, over coffee and cake, and discussed some of the finer points of choosing and using equipment - lenses, flashes, filters, tripods, etc. We also viewed a range of travel images, analysing what makes a particular shot work and discussing how to create stronger shots. He lead us through the thought processes that lead to striking images. Unfortunately the night photography session on day two had to be cancelled due to a looming storm and will be rescheduled in the coming weeks. 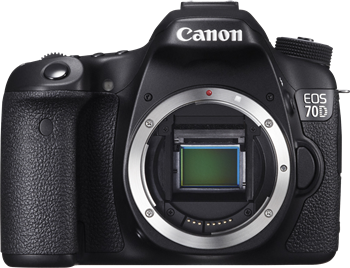 Now I just need to buy that camera - I'm leaning towards a Canon EOS 70D - and start practicing. One more step towards Africa. On June 21, 2014 we will run in the Big Five Marathon in South Africa. We will fly from Sydney to Johannesburg on May 27 to begin what will surely be the trip of a lifetime. There is an enormous amount of planning required to make something like this happen and I have indeed been planning, plotting and dreaming of this trip for more than eighteen months. We chose Africa as our first international marathon destination for a number of reasons. In 2011 we trekked to Everest Base Camp in Nepal and our group of trekkers included a number of South Africans who we now view as lifelong friends. Steve's great friend Ronnie Muhl, the trek leader on that trip, also led Steve's 2010 Mt Everest climbing expedition. Like Steve, he too has successfully reached the summit of Mt Everest. We will be able to visit these friends in their hometowns of Johannesburg and Cape Town and this will be a very special part of our trip. 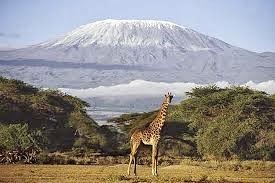 Another reason for choosing Africa is that we can also include the climbing of Mt Kilimanjaro in our itinerary. Like many serious mountain climbers, Steve plans to climb the seven summits - the highest peak on each continent. (Seems like there's a theme developing here.) 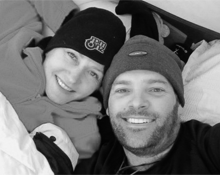 Although I am not interested in mountain climbing per se, I have always been keen to attempt Kilimanjaro, so the timing and opportunity seemed right for us. Friends and climbing aside, surely Africa is one of the most exciting destinations on earth, so decision made, Africa it is. 3 nights. As we will be utilising my Qantas staff travel benefits to facilitate our travel, this will be our entry point into South Africa flying SYD/JNB on QF63. 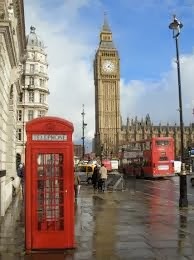 We will spend our time recovering from jet lag and doing a bit of sightseeing. I have been to Johannesburg many times before as a Qantas Flight Attendant but this will be Steve's first time here. 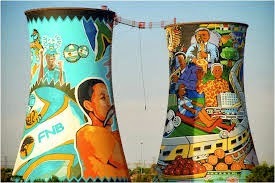 I have booked a private tour guide, the well respected Nel Redelinghuys, to take us to Soweto and the Apartheid Museum. I'm looking forward to reminiscing over great steak and wine at The Bull Run Restaurant and we also hope to catch up with our friend Per. 2 nights. This is a weekend hike, camping in a beautiful mountain region that includes an area known as Champagne Castle. 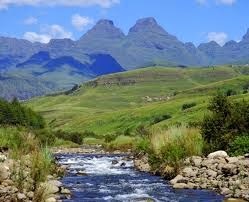 On day two, we will reach an altitude of 3380m, so it will be a good training exercise before Kilimanjaro. I have booked this through the company Soul Adventures who have been a delight to deal with. Johannesburg 1 night. Rest and recuperation. 3 nights. 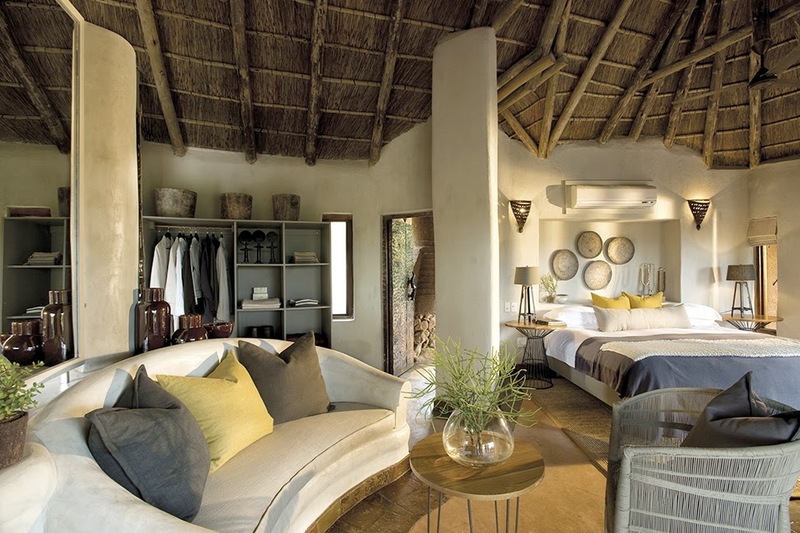 Game reserve located in a malaria-free zone in the North West Province, South Africa, bordering Botswana. 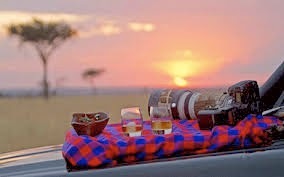 Morning and afternoon game drives in open safari vehicles, staying in the luxurious accommodation of Lelapa Lodge. 10 nights. Mount Kilimanjaro in Tanzania is the highest free-standing mountain in the world. We will trek with the South African company Adventures Global, owned by Steve's friend and business associate Ronnie Muhl. 4 nights. Looking forward to staying with our friends and exploring this beautiful city. 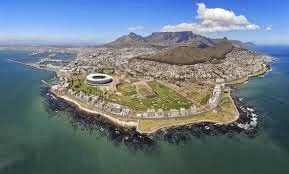 Some plans include hiking Table Mountain, visiting Stellenbosch and Robben Island and catching up with friends Ronnie, Derick and Rob. I'm still considering organising a shark cage dive for Steve, as he has mentioned before that he would love to do this. 5 nights. Finally. Our main reason for being here. 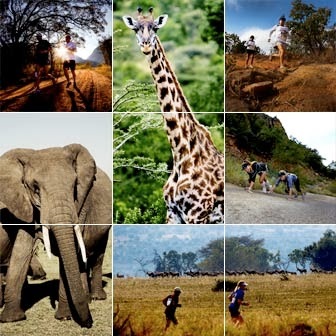 The marathon runs through the private game reserve Entabeni in the Limpopo Province, located between Johannesburg and the Kruger National Park. We will be staying at Hanglip Mountain Lodge on the lower escarpment that has breathtaking views across the wetlands and vast open plains. We will be using Travelling Fit for our travel arrangements. 2 nights. 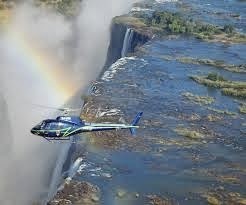 Victoria Falls is on the Zambezi River, bordering Zambia and Zimbabwe. We will stay at The Royal Livingstone Hotel on the Zambian side of The Victoria Falls and take a helicopter flight to view these spectacular falls from above. That will bring our African adventure to an end and we will fly home on June 26 ready to plan the next marathon on the next continent. 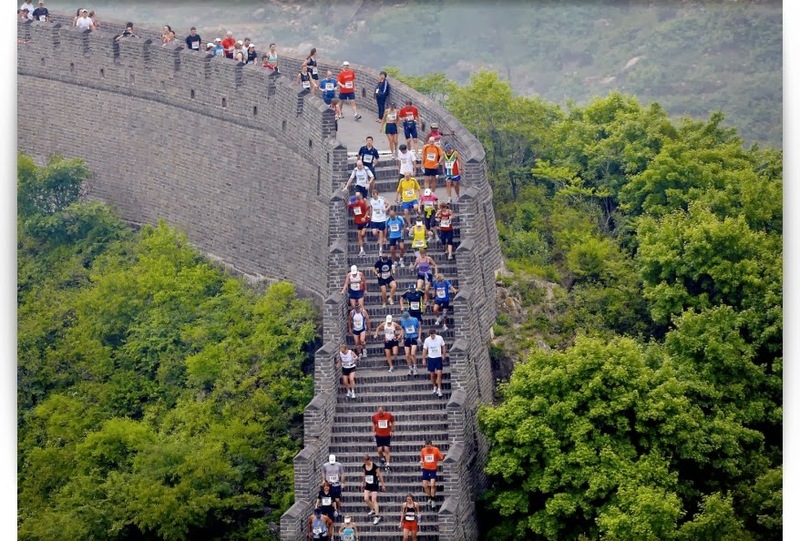 The Great Wall Marathon in China, perhaps? The Seven Continents Club was created to celebrate the achievements of athletes, specifically long distance runners, who have run a marathon on all seven continents. Africa, Asia, Antarctica, Europe, North America, Oceania and South America. Members exemplify the spirit of adventure, love to explore the world and are dedicated to pursuing the sport of marathon running in a global context by pushing themselves in different environments. In 1995 the inaugural Antarctica Marathon took place in the mostly frozen and barely populated 'Last Continent', making it possible for adventure runners to achieve this unique feat. According to the official website www.sevencontinentsclub.com more than 390 runners have completed the challenge. This list to date includes six Australian men and three Australian women. Of these, I'm not sure how many, if any, were 'couples'. In November 2013, 14 year old Winter Vinecki became the youngest member of this exclusive club. We first heard of The Seven Continents Club when we ran in the Australian Outback Marathon in 2012. Some of our fellow competitors were already members and had also joined the 50 States Marathon Club by completing a full marathon in all 50 states across America. I find it incredibly inspiring to spend time with such amazing athletes. In my case, I would use the term 'athlete' very loosely. I am very slow and can't say that I even particularly enjoy running at all but I am addicted to the idea of achieving such an ambitious goal. We decided that if we were really serious about doing this we would select the marathons based upon where we would like to go for an extended holiday. In our eyes these are all really 'destination marathons'. It might take some time, but I want my name to appear on that membership list. Steve and I are always up for a challenge. What better than a challenge to run a full marathon on every continent across the globe? At 42.2km a piece, my calculator confidently tells me that we will cover a total distance of 295.4km. My doubtful mind tells me that it will be 295.4km of absolute pain. 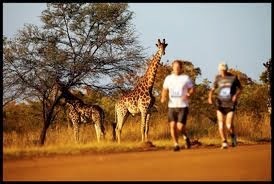 We will run amongst the wildlife of the African savannah. 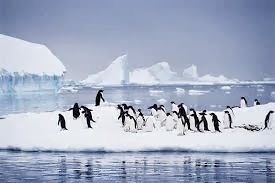 We will come face-to-face with icebergs, penguins and seals in the Antarctic. We will take on 5164 steps across the Great Wall of China. We will run through the iconic streets of London, along the River Thames. 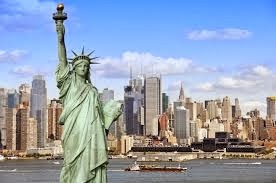 We will make our way through the famous five boroughs of The Big Apple, New York City. 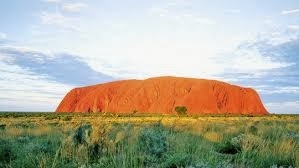 We will tackle the red earth of the Australian outback with Ayers Rock and The Olgas in our sights. 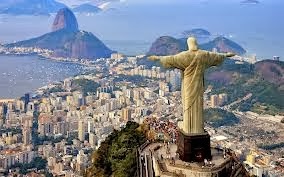 We will weave through the streets of Rio de Janeiro with the ocean to our right, the mountains to our left. Yes, I think this will be a worthy challenge indeed. 295.4km filled with unmatched memories of a lifetime. You can follow our journey here as we blog about our every step towards our attempt to become members of the exclusive Seven Continents Club. Hi. My name is Sandy Rosenthal and my partner Stephen Bock and I are planning to run a marathon on every continent. Welcome to our blog. We are an adventurous couple from Sydney Australia and we love a challenge. I am an International Flight Attendant and Steve has a successful Real Estate business. He is also a mountaineer and is the 61st Australian to summit Mt Everest. The idea to take on this particular challenge came about when we ran the Australian Outback Marathon in 2012. We were so inspired by our fellow competitors from around the world who were attempting to join the exclusive Seven Continents Club and the seed was planted.